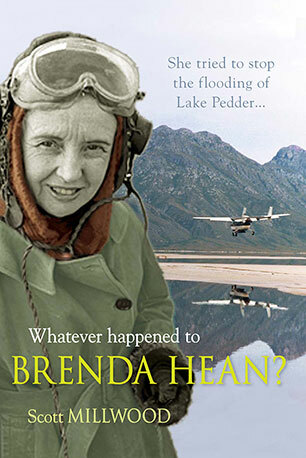 Home>Browse>Books>Other books>Whatever happened to Brenda Hean? An investigation into the mysterious disappearance of Tasmanian environmental campaigner, Brenda Hean. Brenda Hean, a dentist's wife, was a part of the Hobart establishment. She made a very unlikely environmental activist - but Lake Pedder was one of those very special places. She and a collection of like-minded people took it upon themselves to save the mountain wilderness lake from inundation to form a dam for the Hydro Electric Commission, and in the process founded the first Green political party in the world. In September 1972, Brenda Hean left Hobart in a tiger moth aircraft being piloted by Max Price. They were flying to Canberra to write 'Save Lake Pedder' across the sky above the Parliament House and to meet with government officials in an attempt to gain federal political support for their campaign. The plane was sighted several times as it made its way across the island but it never reached its destination. Neither the plane nor its passengers were ever seen again. Thirty-five years of conspiracy theories have surrounded the intriguing story, but in 2003 a secret source gave celebrated documentary film maker Scott Millwood a package, with the advice USE THIS FOR GOOD. In it were the police files detailing the investigation of the case. Scott Millwood has made a documentary based on his attempts to uncover the truth while eye witnesses are still alive. This is the book of that film. Scott Millwood made the multi-award winning documentary Wildness about wilderness photographers Olegas Truchanas and Peter Dombrovskis. He was born in Tasmania and now divides his time between there and Berlin. The film Whatever happened to Brenda Hean? will be screened in cinemas in Australia in 08/09 and shown on national television later in 2009. It will then be released internationally.